Savings in actual fact does less to wealth creation. It makes life comfortable, but those with absurd wealth created something or inherited. The concept of wealth creation through savings for the proletariat is something I tweeted against. Nevertheless savings, must be of immense importance to the proletariat, probably even more than those who earn above average. It’s also very difficult to save when disposable income doesn’t even appear capable of matching monthly expenditures. 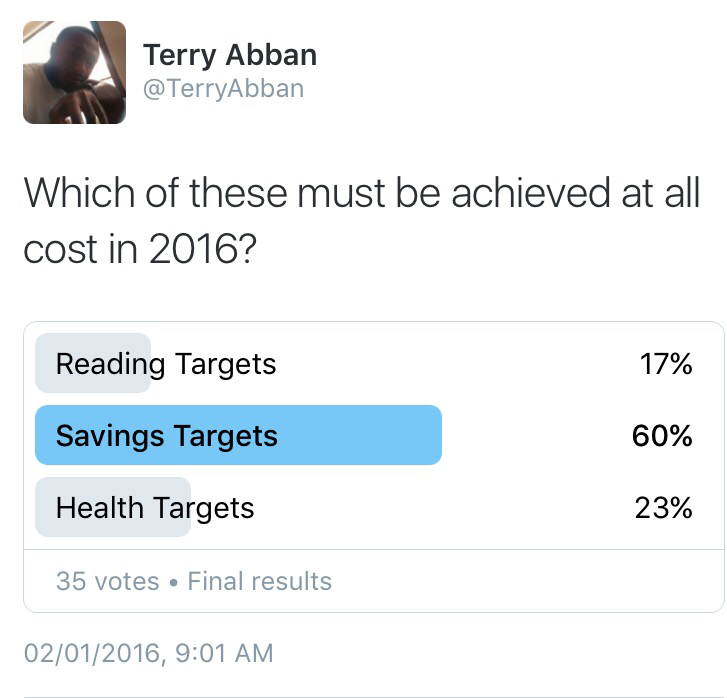 The habit of saving was also one of the most difficult to learn; it was only until last year that I personally exceeded my savings targets for the first time. 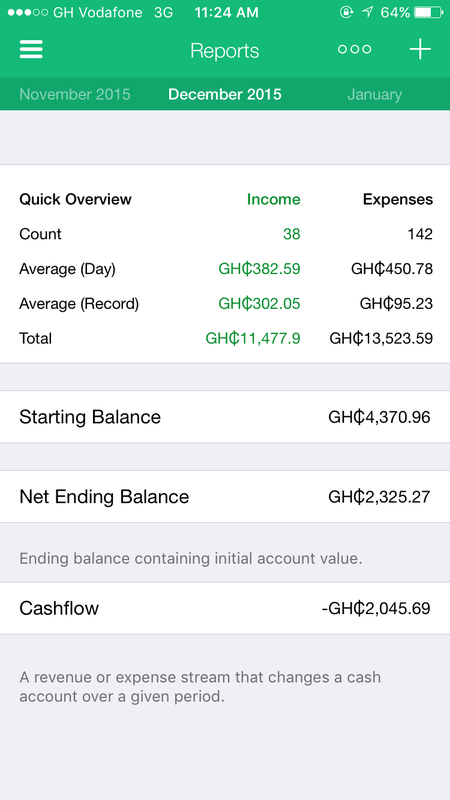 Everything I did in full doesn’t include using an app, but I believe if I discovered this app earlier last year, I would have really achieved more with savings. The Wallet … this app is not your ordinary expenses tracker, or budget app, or anything most of those other apps promise but don’t deliver … this app is actually an ordinary app with “extraordinary” utilities. If you hate tracking expenses or if you feel that tracking expenses is boring and hard to keep up, this app makes it easier. This app will tell you where your money is coming from, how you’re spending it, how fast you’re spending it, where you spend the most, what you spend on the most etc. It has a “Debts” hub, where you keep track of all records of those you lend to and those you borrow from, fusing the figures effortlessly into your cash flow. What makes this app my favorite is how it reports to you. 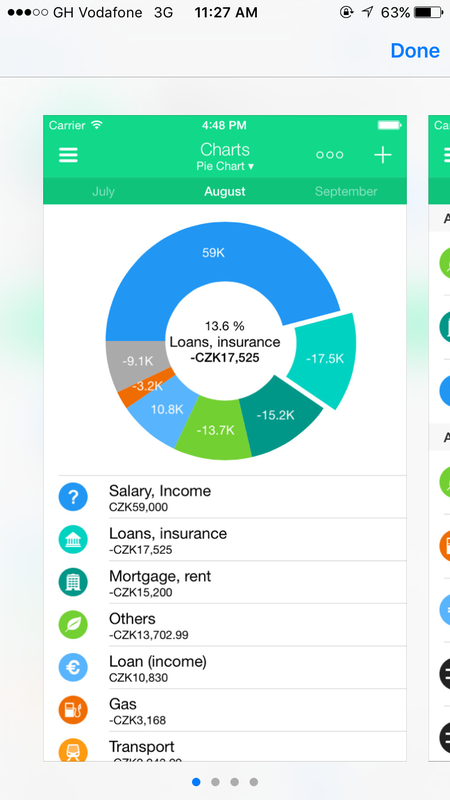 It doesn’t have complex diagrams which only make sense to PhD Finance holders, it uses user chosen colors to tell you exactly what you need to know about your expenditures and earnings. Widening your income streams or generating more is a sure way to making savings easier, but the way this our economy is currently setup, if that’s proving to be so much of a challenge in the interim, knowing what you spend on and realising which expenses can be controlled is a good way to start. I have been in the position of not knowing what I used my money for: I’ll feel I had so much yesterday and wouldn’t know how I disbursed it. That has completely changed with this app. Inputting data immediately is the best as the app gets the opportunity to capture more data; where exactly you made the expenditure (has Google maps services imbedded) and the time of the expenditure. So the where becomes very useful … let’s assume you check on reports at the end of the month and you realise that you spent more at Smoothy’s, I believe such an information will become useful. The only downside is that, users who have used the app on both Android and iOS claim that features on Android is far more advanced, intuitive and superior to that on iOS. I believe with time, the developers will push updates to rectify the difference.